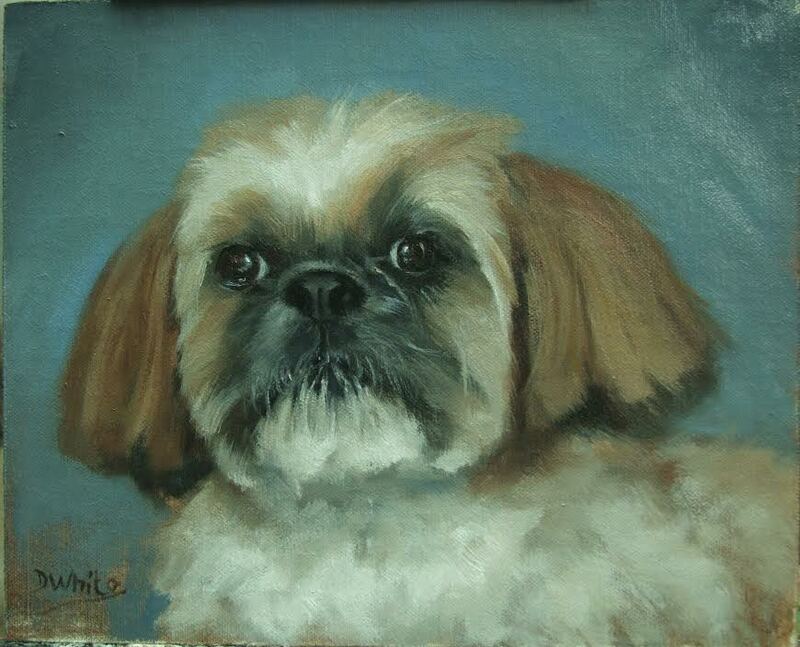 Commissioned dog painting. I love the expression on his face! The owner said that this is his look while he’s waiting for his supper.